NYC, 04/08/2019, 8:00PM. 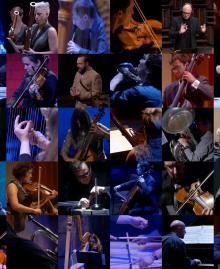 NYU Composers & ICECommons: New Works. The International Contemporary Ensemble continues its collaboration with the innovative composers of New York University, who are experts in the latest music technology. Graduate composers are featured in a program of world premieres.